First of all I would like to take a moment to say thank you for re-electing me for a second term on the Maricopa City Council. I am excited and look forward to working with the new council. I am sincerely humbled by your confidence and support and will continue to work hard to ensure our community has the best representation possible. Having said that, I would greatly appreciate your vote for Mr. Andre LaFond to become our next constable for the Maricopa-Stanfield Justice Court. Andre will bring a new and fresh approach to this critical position of trust and respect. I have personally observed Andre’s calm yet firm demeanor which are much needed traits to successfully support the court and community at large. And I am convinced that Andre will serve Maricopa-Stanfield with respect and honor. After serving our country in the U.S. Army, Andre chose a career as a private law enforcement professional where he’s spent 14 years sharping his investigative and interrogation skills. This experience has provided him with the very important interpersonal skills needed to enforce court orders safely and effectively. Andre can do the job. So, remember, voter registration ends 10/09/2018. Early Ballot Mail Date is 10/10/2018. Final date to mail back early ballots is 10/31/2018. General Election Date is 11/06/2018 – Please vote for Andre – Constable. 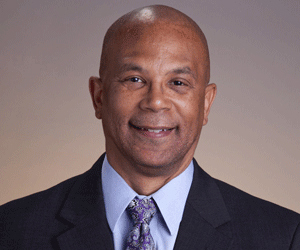 Henry Wade is a recently re-elected member of Maricopa City Council.